I’ve been asked to write about the issue of growth versus no growth. This is in the context of planning, so broader questions of degrowth are not within this post’s main scope. Rather, it’s about whether planning for more growth is useful in combating pollution and greenhouse gas emissions. The answer is yes, though the reasoning is subtle. Smart growth is the key, and yet it’s not a straightforward question of transit construction and transit-oriented development helping the environment; it’s important to figure out what the baseline is, since a large urban apartment still emits more CO2 than the closets people end up living in in parts of San Francisco and New York. The argument for growth specifically is that a high baseline level of growth is what enables smart growth and TOD policies. Vancouver’s secular increase in transit usage, and to a lesser extent the ongoing revival in Seattle and that of Washington in the 2000s, could not happen in a region with Midwestern population growth. VTPI has many references to studies about smart growth here. The idea of smart growth is that through policies that encourage infill development and discourage sprawl, it’s possible to redirect the shape of urban areas in a greener direction. Here’s one specific VTPI paper making this comparison directly on PDF-p. 3. Unfortunately, the reality is that there are at least three poles: in addition to sprawl and smart growth, there is no growth. And moreover, many of the bureaucratic rules intended to encourage smart growth, such as comprehensive zoning plans, in fact lead to no growth. The following table is a convenient summary of housing permitting rate vs. my qualitative impression of how smart the growth is. The permitting rate is absolute, rather than relative to birth rates, immigration, and internal migration pressure as seen in average incomes. Tokyo’s permitting rate is similar to Vancouver’s – Tokyo Prefecture’s rate of 10 annual units per 1,000 people and so is Metro Vancouver’s, but Japan’s population is falling whereas Canada’s is rising. See also European rates linked here and American rates here. The infill vs. sprawl dimension is qualitative, and combines how transit-oriented the construction is with whether the development is mostly in the city or in the suburbs. Berlin’s suburbs are shrinking due to the depopulation of East Germany, and growth in the suburbs of Tokyo and West Germany is weak as well, but city growth is going strong. Paris is building a lot of public transit and is very dense, but there’s more development per capita in the suburbs, and likewise in California most development is in exurbs rather than in central cities; Seattle is penalized for having bad transit, and Atlanta for having no transit, but in both there’s a lot more development in the city than in the suburbs. Stockholm and Vienna have growth all over and excellent public transit. The significance of the diagram is that by the standards of European transit cities, California is not an example of smart growth, but of no growth. In the high-growth area of the diagram, the most interesting case is not Tokyo, but Vancouver and Seattle. In these cities, there is a transit revival. Metro Vancouver’s mode share went up from 13% in 1996 to 20% on the eve of the Evergreen extension’s opening. Moreover, for most of this period Vancouver saw car traffic decrease, despite high population growth. Metro Seattle’s transit revival is more recent but real, with the mode share rising from the “no transit” to “bad transit” category (it is 10% now). Both cities invested heavily in transit, Vancouver much more so than Seattle, but it was specifically transit aimed at shaping growth. Before the Expo Line opened, Downtown had few skyscrapers, Metrotown did not yet exist, New Westminster had a low-rise city center, and the areas around Main Street-Science World, Joyce-Collingwood, and Edmonds were nonresidential and low-density. The combination of fast growth and rapid transit ensured that new development would add to transit ridership rather than to road traffic. Moreover, the strong transit spine and growing employment at transit-oriented centers meant existing residents could make use of the new network as well. The same situation also exists in Europe, though not on the same transformative scale as in Vancouver, since the cities in question came into the new millennium with already high transit usage. Stockholm just opened a regional rail tunnel doubling cross-city capacity and is expanding its metro network in three directions. This program is not available to lower-growth cities. Berlin has grandiose plans for U-Bahn expansion and has even safeguarded routes, but it has no active plans to build anything beyond the U5-U55 connection and S21 – the city just isn’t growing enough. By itself, growth is not necessary for the existence of a robust transit network. Vienna proper had more people on the eve of WW1 than it has today, though in the intervening generations there has been extensive housing construction, often publicly subsidized (“Red Vienna”), increasing the working class’s standard of living. However, in a modern auto-oriented city – say, anything in North America other than New York – it is essential. This becomes clear if we look at the next tier of American cities in transit usage after New York, that is Chicago, San Francisco, Washington, and Boston. Washington is the odd one – it had a transit revival before the Metro collapse of this decade, and got there through TOD in choice locations like Arlington. The others inherited a prewar transit network and made some improvements (like the Transbay Tube replacing the Key System), but froze urban development in time. Essentially all postwar development in those cities has been sprawl. Chicago had big enough a core to maintain a strong city center, but outside the Loop the job geography is very sprawled out. Boston and the Bay Area sprouted suburban edge cities that became metonyms for their dominant industries, with a transit modal share of about 0%. Chicago’s transportation situation is difficult. The city is losing population; some specific neighborhoods are desirable and some around them are gentrifying, but the most optimistic prognosis is that it’s akin to New York in the 1970s. If there’s no population to justify a public transit investment today, there won’t be the population to justify it tomorrow. Any investment has to rely on leveraging the city’s considerable legacy mainline network, potentially with strategic cut-and-cover tunneling to connect Metra lines to each other. And if Chicago’s situation is difficult, that of poorer, smaller cities is most likely terminal. Detroit’s grandiose plans are for urban shrinkage, and even then they run into the problem that the most economically intact parts of the region are in low-density suburbs in Oakland County, where nobody is going to agree to abandonment; the shrinkage then intensifies sprawl by weakening the urban core. Even in European cities where the shrinkage is from the outside in, there’s no real hope for any kind of green revival. Chemnitz will never have rapid transit; its tram-train has 2.6 million annual passengers. The environmental movement has from the start had a strong sense of idyll. The conservationism that motivated John Muir and Teddy Roosevelt was about preserving exurban wilderness for rich adventurers to travel in. The green left of the 1960s dropped the explicit classism but substituted it for new prejudices, like the racism embedded in population control programs proposed by Westerners for the third world. Moreover, the romantic ideals of Roosevelt-era environmentalism transformed into small-is-beautiful romanticism. Even Jane Jacobs’ love for cities was tempered by a romanticism for old low-rise neighborhoods; she predicted the Upper West Side with its elevator buildings would never be attractive to the middle class. But what’s idealized and what’s green are not always the same. Lord of the Rings has a strong WW1 allegory in which the hobbits (Tolkien) leave the Shire (the English Midlands) to go to war and come back to find it scoured by industrialization. But on the eve of WW1, Britain was already a coal-polluted hellscape. Per capita carbon emissions would remain the same until the 1970s and thence fall by half – and in the first three quarters of the 20th century the fuel source shifted from coal to oil, which is less polluting for the same carbon emissions. The era that Tolkien romanticized was one of periodic mass deaths from smog. The era in which he wrote was one in which public health efforts were undertaken to clean up the air. Likewise, what passes for environmentalism in communities that openly oppose growth freezes the idyll of postwar America, where suburban roads were still uncongested and the middle class had midsize houses on large lots. But American greenhouse gas emissions per capita were the same in 1960 as today, and had been the same in good economic times going back to the eve of the Great Depression. Only centenarians remember any time in which Americans damaged the planet less than they do today, and “less” means 14 tons of CO2 per capita rather than 16.5. The upshot is that in the developed world, environmentalism and conservation are opposing forces. Conservation means looking back to an era that had the same environmental problems as today, except often worse, and managed to be poorer on top of it all. Strictly speaking, growth is not necessary to reduce emissions. 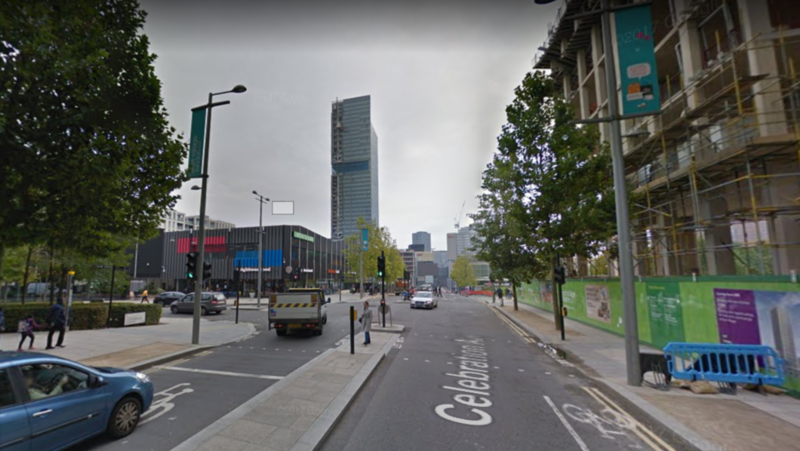 The low-growth city could just as well close its road network, ban cars, and forbid people to use electricity or heating generated by fossil fuels – if they’re cold, they can put on sweaters. But in practice, low-emission developed countries got to be where they are today by channeling bouts of economic growth toward clean consumption of electricity as well as transportation. Regulatory coercion and taxes that inconvenience the middle class are both absolutely necessary to reduce emissions, and yet both are easier to swallow in areas that have new development that they can channel toward green consumption. The environmentalist in the Parises and Stockholms has the easiest time. Those cities have functioning green economies. There are recalcitrant mostly right-wing voters who like driving and need to be forced to stop, but a lifestyle with essentially no greenhouse gas emissions except for air travel is normal across all socioeconomic classes. The Vancouvers are not there but could get there in a generation by ensuring future development reinforces high local density of jobs and residences. The pro-development policies of the Pacific Northwest are not in opposition to the region’s environmentalism but rather reinforce it, by giving green movements a future to look forward to. The environmentalist in the Clevelands and Detroits has the hardest time. It’s even worse than in the Chemnitzes – Saxony may be a post-industrial wasteland with 10% fewer people now than it had in 1905, but it’s coming into the 21st century with German emissions rather than American ones. These are cities with American emissions and economies based substantially on producing polluting cars, propped by special government attention thanks to the American mythology of the Big Three. But whereas the Rust Belt has genuine problems, NIMBYvilles’ low growth is entirely self-imposed. New York and Los Angeles have the same per capita metro housing growth as Detroit, but only because they choose stasis; where the price signal in Detroit screams at people to run away, that in New York and California screams to build more housing. Their political institutions decided to make it harder to build any green future not only for their current residents but also for tens of millions who’d like to move there. In advance of next month’s European Parliament election, several sources at the major mainstream parties have said that there are plans to coordinate a carbon tax, paired with investment in green infrastructure. Representatives of the European People’s Party (EPP), the Socialists and Democrats group (S&D), the Alliance of Liberals and Democrats for Europe (ALDE), and the Greens-European Free Alliance group (G/EFA) have agreed on an outline, to be passed after the election. The unaffiliated La Republique En Marche, which is expected to be the largest party in France in the coming election, is in on the agreement as well, and has been a key driver of the deal under the leadership of President Emmanuel Macron. As the four parties as well as LREM are expected to have a large majority of the seats among them, the deal should not have difficulties passing. At heart is an attempt to unify different national approaches to climate change. One source specifies that after frustration with the slow pace of decarbonization in France, in large part due to the Gilets Jaunes’ street riots against higher fuel taxes, Macron sought a Europe-wide approach. While the left in France was skeptical, green and social-democratic parties in the rest of Europe were supportive. Italy’s Democratic Party (S&D) was especially interested, citing worries that France’s lower fuel taxes were causing motorists in western Liguria to drive over the border to fill up in the nearby French Riviera. The Social Democrats in Sweden, under the leadership of Prime Minister Stefan Löfven, have been supportive as well, and several sources agree that they played a role in persuading the entire S&D group to support a strong carbon tax law. Obtaining the consent of EPP was more difficult due to its skepticism over tax increases. There is no first-hand on-the-record reporting for how this was achieved, but a large number of second-hand sources agree that Chancellor Angela Merkel agreed in order to appeal to German Green Party voters, as the party is rising in the polls in the European as well as German elections and has popular state-level leadership. The deal will impose a minimum carbon tax starting at €50 per metric ton of CO2-equivalent in 2020, rising gradually to €200 per ton in 2035. The tax will include border adjustments for the carbon content of imported goods, a clause that is said to have come at the insistence of union-affiliated S&D leaders who worried about competition from outside the EU. Controversially, the language of the draft deal permits individual member states to give industries credit toward exports. The tax will be collected entirely at the member state level, like existing taxes on fuel and tobacco and VAT, where the EU mandates minimum floors (such as 15% for VAT) and monitors compliance but does not collect the taxes itself or redistribute the proceeds. Sweden’s existing carbon tax, currently €120 per ton, will therefore stay where it is. The EU will ensure member states collect the tax and do not give undue exceptions to industrial users; only exports and fuel for extra-EU flights and shipping may be exempted from the tax. Simultaneously, the parties agreed to accelerate spending on EU-wide green infrastructure. As with the tax, member states will have considerable latitude, in order to mollify concerns among some Greens that the EU will stealthily mandate the construction of new nuclear power plants, as well as concerns among most EPP and ALDE parties that government spending would rise too much. Germany, in particular, has plans to reduce taxes on businesses: the Merkel cabinet has had to resist the business community’s demands for tax cuts, arguing that it is in growth times like this year that is is most tempting to engage in fiscal profligacy. There will also be additional spending on urban rail, motivated by the projected mode shift away from cars as a result of the new tax, but people close to the key decisionmakers say that massive federal spending in Germany is unlikely. In France, the plan is to use the proceeds to invest in transportation alternatives, including a roster of new urban rail lines in Paris as well as most secondary cities. Macron is said to be in favor of accelerating the construction of new TGV lines connecting the entire country to Paris within at most 4 hours, as well as orbital lines connecting provincial cities to one another. The timing of the leak is unusual. One source speculated that it is timed for the eve of Brexit, to nudge Britain to revoke Article 50 and stay in the EU to avoid finding itself fighting another EU bureaucracy if it left without a deal. While the spokespeople for the British Conservative Party who were contacted for this story oppose the climate agreement, the agreement can pass the European Parliament even over the party’s objections. Nonetheless, euroskeptical forces have used the leak as an opportunity to portray the EU in conspiratorial terms, particularly ones affiliated with the far-right Europe of Freedom and Direct Democracy (EFDD) and Europe of Nations and Freedom (ENF) groups. The Italian Lega (ENF), expected to emerge as the single largest national party after the election, attacked the EU for dictating to member states. France’s National Rally (ENF), the party of the Le Pen family, said that Macron is immiserating France, that carbon emissions are caused by corporate shipping and not by driving, and that Europe would not have any environmental problems if it did not have population growth due to immigration. The UK Independence Party (EFDD) added that it’s not even clear if climate change is real, and said that this is why it always backed Brexit. Nonetheless, the polls are stable enough that all observers expect ENF and EFDD, and even the UK Conservatives’ European Conservatives and Reformists (ECR) group, to lack the power to defeat or even weaken the proposed legislation. In response to threats by the Gilets Jaunes to call a massive nationwide rally next Saturday, the leader of the opposition Republicans (EPP) threatened that perhaps France should declare martial law to forestall riots. In Sweden, sources close to the Löfven cabinet point out that the country’s long-time moral leadership is paying off, as there is an extensive clean industry in Sweden, including rolling stock as well as engineering professional services. A spokesperson for the Swedish Greens added that this was also an example of European moral leadership, which would exercise soft power in order to convince other big countries and blocs to follow suit, such as Japan and South Korea. But when pressed on the issue of the US and China specifically, sources demurred. As this article goes to press, no national politicians in the United States from either party have commented, despite multiple attempts to reach out and ask if they were willing to implement a similar policy in America. Boy. If this sentence doesn’t perfectly capture the folly of our megaproject-obsessed transit paradigm, we don’t know what does. Here’s a better idea: Ask transit riders in Durham and Chapel Hill what’s the next, small step you could take that would improve their commutes *this* year. Then do it. Then next year, ask the same question. There are so many pressing needs going unmet while our cities focus on shaky silver-bullet efforts like this one; what do we have to lose? It’s a perfect encapsulation of what is wrong with more traditionalist attitudes toward urbanism and green transport, and I want to explain why. Short-term thinking – “what could improve this year” – does not scale. The Strong Towns article talks about scalability as a reason to improve bus service and add sidewalks rather than adding urban rail, but the reality is the exact opposite. Incrementalism works in cities that have 35% transit mode share and want to go up to 50% – and since, in the first world, all of these cities have rapid transit systems, getting to 50% means building more lines, as is happening in Paris and Berlin and London and Stockholm and Vienna and Copenhagen, and the last three don’t even have that many more people than the Research Triangle, where the rail link in question is to be built. The Research Triangle does not have 35% transit mode share. For work trips the share in the Durham-Raleigh combined statistical area is 1.4%. All the things that year-by-year incremental progress does do not work, because improving the bus network increases ridership in relative numbers to current traffic. Strong Towns understands this, in a way. It uses the “what do we have to lose?” language. And yet, it recommends not doing anything of importance, because building big things means megaprojects. Megaprojects involve doing something that visibly involves the government, requires central planning, and is new to the region. They empower planners whose expertise comes from elsewhere, because the local knowledge in a 1.4% transit share region is 100% useless for offering transportation alternatives. It’s a mentality that seems endemic to groups that romanticize midcentury small towns. Strong Towns literally names itself after the idea of the old small-town main street, in which cars exist but do not dominate, back before hypermarkets and motorway bypasses and office parks changed it all. It’s an idea that evokes nostalgia among people who grew up in cities like that or in suburbs that imitated them and dread among people who didn’t. And it’s completely dead, because it’s too small-scale for transit to work and too spread out for a developer to have any interest in reproducing it today. In a metro area that wants to get from 1.4% transit share to a transit share that’s not a rounding error, a few things need to happen, and none of them will make nostalgists happy. First, planning has to be for the long term. “What can be done this year?” means nothing. Second, extensive redevelopment is required, and it can’t be incremental. If you want transit-oriented development, look at what Calgary did in city center and what Vancouver did around suburban stations like Metrotown and Edmonds and do it in your Sunbelt American city. Third, wider sidewalks are cool and so is more bus service, but in a spread-out region, interurban rail is a must, and this means big projects with an obtrusive government and a public planning process. And fourth, people will complain because not everything is a win-win, and the government will need to either ignore those people (if they’re committee meeting whiners) or break them (if they’re Duke, which is opposing the light rail line on NIMBY grounds). American transit reformers tend not to know much about good practices, but many are interested in learning. But then there are the ones who cling to traditional railroading, mixed-traffic heritage streetcars, village main streets, or really anything that lets them portray the car as an outside enemy of Real America rather than its apex with which it annihilated groups it deemed too deviant. It’s an attractive mythology, playing to a lot of powerful notions of community. It’s also how American cities got to be the car-choked horrors that they are today, rather than how they will turn into something better. My post about the boundary zone between the transit-oriented city and its auto-oriented suburbs led to a lot of interesting discussions in comments, including my favorite thing to hear: “what you said describes my city too.” The city in question is Philadelphia, and the commenter, Charles Krueger, asked specifically about park-and-ride commuter rail stations. 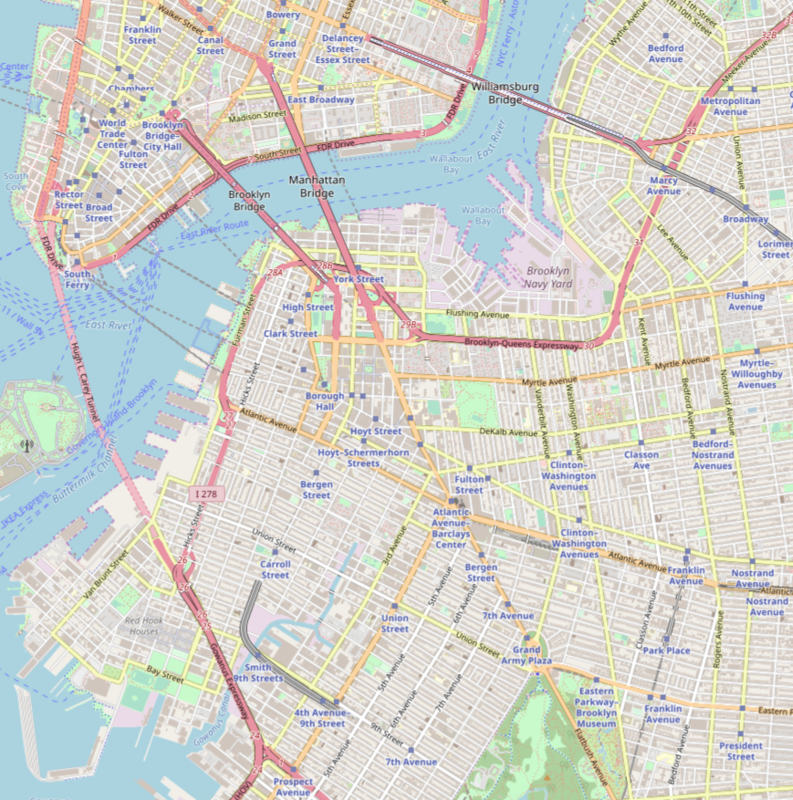 My post had mentioned Southeast on the Harlem Line as an interface between commuter rail and the Westchester motorway network, and the natural followup question is whether this is true in general. The answer is that it’s complicated, because like the general concept of the cars/transit boundary zone, park-and-rides have to be rare enough. If they’re too common, the entire rail system is oriented around them and is not really a boundary but just an extension of the road network. This is the situation on every American commuter rail system today – even lines that mostly serve traditional town centers, like the New Haven Line, focus more on having a lot of parking at the station and less on transit-oriented development. Even some suburban rapid transit lines, such as the Washington Metro, BART, and the recent Boston subway extensions, overuse park-and-rides. However, that American suburban rail systems overuse such stations does not mean that such stations must never be built. There are appropriate locations for them, provided they are used in moderation. Those locations should be near major highways, in suburbs where there is a wide swath of low-density housing located too far from the rail line for biking, and ideally close to a major urban station for maximum efficiency. The point is to use suburban rail to extend the transit city outward rather than the auto-oriented suburban zone inward, so the bulk of the system should not be car-oriented, but at specific points park-and-rides are acceptable, to catch drivers in suburbs that can’t otherwise be served or redeveloped. I’ve harped on the importance of off-peak service. The expensive part of rail service is fixed costs, including the infrastructure and rolling stock; even crew labor has higher marginal costs at the peak than off-peak, since a high peak-to-base ratio requires split shifts. 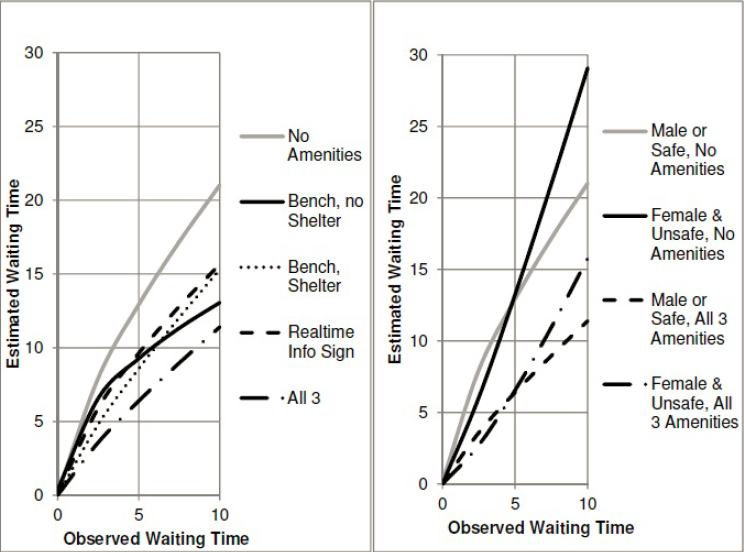 This means that it’s best to design rail services that can get ridership at all times of day and in both directions. The need for design that stimulates off-peak service involves supportive service, development, and infrastructure. Of these, service is the easiest: there should be bidirectional clockface schedule, ideally with as little variation between peak and off-peak as is practical. 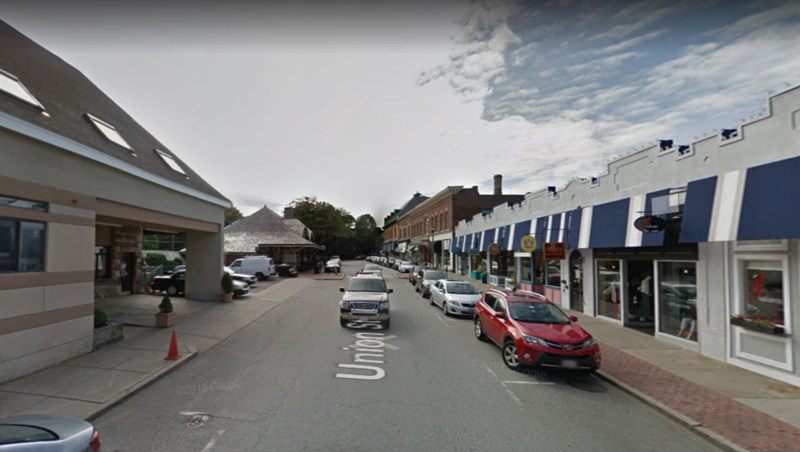 Development is politically harder, but thankfully in the main example case, the Northeastern United States, commuter rail agencies already have zoning preemption powers and can therefore redevelop parking lots as high-intensity residential and commercial buildings with walkable retail. Infrastructure is the most subtle aspect of design for all-day service. Park-and-ride infrastructure tends to be peaky. Whereas the (peakier, more suburban) SNCF-run RER and Transilien lines have about 46% of their suburban boardings at rush hour, the LIRR has 67%, Metro-North 69%, and the MBTA 79%. My linked post explains this difference as coming from a combination of better off-peak service on the RER and more walkable development, but we can compare these two situations with the Washington Metro, where development is mostly low-density suburban but off-peak frequency is not terrible for regional rail. Per data from October 2014, this proportion is 56%, about midway between Transilien and the LIRR. This goes beyond parking. For one, railyards should be sited at suburban ends of lines, where land is cheap, rather than in city center, where land is expensive and there is no need to park trains midday if they keep circulating. But this is mostly about what to put next to the train stations: walkable development generating a habit of riding transit all day, and not parking lots. They are located in suburban sections where the reach of the highway network is considerable, as there is a large blob of low density, without much of the structure created by a single commuter line. They are near freeways, rather than arterials where timed connecting buses are plausible. They are immediately behind major stations in town centers with bidirectional service, namely White Plains and New Brunswick, respectively. The importance of proximity is partly about TOD potential and partly about train operating efficiency. If the park-and-rides are well beyond the outer end of bidirectional demand, then the trains serving them will be inefficient, as they will get relatively few off-peak riders. A situation like that of Ronkonkoma, which is located just beyond low-ridership, low-intensity suburbs and tens of kilometers beyond Hicksville, encourages inefficient development. Thus, they should ideally be just beyond the outer end, or anywhere between the city and the outer end. However, if they are far from the outer end, then they become attractive TOD locations. For example, every station between New York and White Plains is a potential TOD site. It’s only near White Plains that the desirability of TOD diminishes, as White Plains itself makes for a better site. On rapid transit in American suburbia, one example of this principle is the Quincy Adams garage on the Red Line just outside Boston. While the station itself can and should be made pedestrian-friendlier, for one by reopening a gate from the station to a nearby residential neighborhood, there’s no denying the main access to the station will remain by car. Any TOD efforts in the area are better spent on Quincy Center and Braintree, which also have commuter rail service. American suburban rail lines overuse park-and-rides, but there are specific sites where this type of development is especially bad. Often these are very large park-and-ride structures built in the postwar era for the explicit purpose of encouraging suburban drivers to use mainline rail for commuter and intercity trips. With our modern knowledge of the importance of all-day demand, we can see that this thinking is wrong for regional trips – it encourages people to take rail where it is the most expensive to provide and discourages ridership where it is free revenue. The most important mistake is Metropark. The station looks well-developed from the train, but this is parking structures, not TOD. Worse, the area is located in the biggest edge city in the Northeast, possibly in the United States, possibly in the world. Middlesex County has 393,000 jobs and 367,000 employed residents, and moreover these jobs are often high-end, so that what the Bureau of Economic Analysis calls adjustment for residence, that is total money earned by county residents minus total money earned in the county, is negative (Manhattan has by far the largest negative adjustment in the US, while the outer boroughs have the largest positive one). The immediate area around Metropark and Woodbridge has 46,000 jobs, including some frustratingly close to the station and yet not oriented toward it; it’s a huge missed opportunity for commercial TOD. In general, edge cities and edgeless cities should be prime locations for sprawl repair and TOD whenever a suburban rail line passes nearby. Tysons, Virginia is currently undertaking this process, using the Silver Line extension of the Metro. However, preexisting lines do not do so: Newton is not making an effort at TOD on the existing Green Line infrastructure, it’s only considering doing so in a part of town to be served by a potential branch toward Needham; and the less said about commuter rail, the better. Mineola and Garden City on Long Island, Tarrytown in Westchester, and every MBTA station intersecting Route 128 are prime locations for redevelopment. I believe it’s Ant6n who first came up with the distinction between commuter rail extending the transit city into the suburbs and commuter rail extending the suburbs into the city. If the trains are frequent and the stations well-developed, then people from the city can use them for trips into suburbia without a car, and their world becomes larger. If they are not, then they merely exist to ferry suburban drivers into city center at rush hour, the one use case that cars are absolutely infeasible for, and they hem car-less city residents while extending the world of motorists. Park-and-rides do have a role to play, in moderation. Small parking lots at many stations are acceptable, provided the station itself faces retail, housing, and offices. Larger parking structures are acceptable in a handful of specific circumstances where there is genuinely no alternative to driving, even if the rest of the rail service interfaces with walkable town centers. What is not acceptable is having little development except parking at the majority of suburban train stations.